Oxycodone is a highly addictive painkiller. It’s legal uses provide strong pain relief for people suffering from neurological degeneration, end-stage cancer, and other conditions causing severe and debilitating pain. Physical addiction to oxycodone happens when the drug is abused. WhiteSands Addiction Treatment Centers in Fort Myers and Tampa FL are dedicated to helping people rid themselves of addiction and achieve long-term recovery. These and other symptoms are a warning sign that a person has a physical addiction to oxycodone. Overdose is a serious risk of oxycodone abuse and causes respiratory suppression, which often results in death. Respiratory suppression frequently occurs when oxycodone is combined with alcohol or another opiate drug. If you suspect someone has overdosed on oxycodone, call 911 immediately. The person may be unresponsive or even stopped breathing, and medical intervention is needed to prevent a fatality. The long term effects of oxycodone include serious results for men. 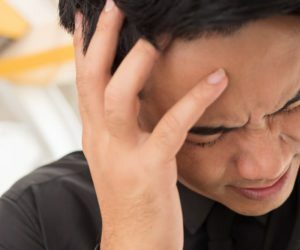 A study conducted on male cancer survivors showed that ninety-percent of those receiving oxycodone for chronic pain had either low or no testosterone secretion. An article in the International Journal of Clinical practice states, “Long-acting opioids such as… oxycodone for the treatment of chronic pain often result in opioid-induced androgen deficiency (OPIAD).” Statistics show more young men than ever before are taking oxycodone, and that is a cause for great concern. Other long term effects of oxycodone include liver damage and other serious health risks. The abuse of oxycodone over a period of time increases the risk of accidental fatal overdose. Get help for yourself or a loved one at WhiteSands Addiction Treatment Centers at their Tampa or Fort Myers FL locations. Call and speak with an addiction counselor and discover the options available at both of these excellent facilities. Detox is followed by rehab and therapy sessions to prepare the individual for returning back to his or her normal work and home routine. In therapy people learn to recognize their personal triggers and how to deal with them. Call WhiteSands to get help for oxycodone addiction at (877) 855-3470. Don’t let this drug take your life away when addiction recovery can save it. There is hope for the future at WhiteSands.